« New study concludes that catch shares are working for fishermen in the U.S. 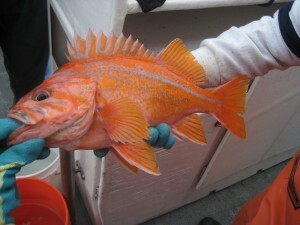 This entry was posted in Domestic, Pacific and tagged canary rockfish, catch quotas, choke species, NMFS, rebuilding species. Bookmark the permalink. Both comments and trackbacks are currently closed.